Prof Niroshan Siriwardena Director of CaHRU and Professor of Primary and Prehospital Health Care. His research focuses on improving healthcare quality and outcomes in general practice, primary care and ambulance services through implementation science. Prof Graham Law Professor of Medical Statistics in the School of Health and Social Care and CaHRU. His research focuses on epidemiological statistics and functional data analysis in clinical trials and large databases including the UK Biobank. He has worked in a wide range of fields including sleep medicine, cancer, diabetes, cardiovascular epidemiology, gastrointestinal disease, pregnancy and childbirth. Dr Zahid Asghar Senior Lecturer in Statistics in CaHRU and the School of Health and Social Care. His research focuses on mathematical and statistical modelling of acute, chronic and infectious disease epidemiology. Dr Stephanie Armstrong Senior Lecturer in Health Quality Improvement in CaHRU working on the Wellcome Trust funded project, Network Exploring the Ethics of Ambulance Trials (NEAT) and the NIHR funded HABIT trial. Her expertise is in qualitative methods and systematic reviews. Dr Murray Smith Senior Research Fellow in Econometrics and Health Economics in CaHRU working on the Helicobacter Eradication Aspirin Trial (HEAT) and studies involving statistical and econometric analysis of panel data and large datasets. Dr Coral Sirdifield Research fellow in CaHRU and the School of Health and Social Care with a wide-ranging interest in mapping health needs to inform evidence-based practice and quality improvement in healthcare. Her PhD focused on the prevalence of mental illness among offenders on probation and the role of the probation service in working with offenders with a mental illness. Dr Julie Pattinson Research assistant in CaHRU with expertise in quantitative and qualitative methodologies specifically grounded theory and interpretative phenomenological analysis, currently working on research led by Prof Siriwardena including the NIHR HTA-funded HABIT trial of nurse delivered sleep restriction therapy for insomnia and research exploring reasons for variations in performance in the Membership of the Royal College of General Practitioners (MRCGP) Applied Knowledge Test (AKT). Dr Joseph Akanuwe Research assistant in CaHRU with expertise in quantitative and qualitative methods, currently exploring the experiences of people with Guillain-Barré Syndrome (GBS) and Chronic Inflammatory Demyelinating Polyneuropathy (CIDP) to understand how they can return to maximal function from a physical, psychological and social perspective. Viet-Hai Phung Research assistant in CaHRU and the School of Health & Social Care. His research focuses on prehospital quality improvement including the PhOEBE programme, with a specific emphasis on ambulance service outcomes. He is studying for a PhD on delivering ambulance service care that meets the needs of EU Accession migrants in Lincolnshire. Despina Laparidou Research assistant in CaHRU working on the multidisciplinary ‘Carers of Dementia Sufferers: Empowerment and Efficacy via Education (CADS: E3)’ and the ‘Improving prescribing safety in general practices in the East Midlands through the PINCER intervention.’ Her main interests are in quality of life and outcomes in long term conditions. Laura Simmons PhD student in CaHRU and the Lincoln Institute for Health researching the effect of camaraderie among paramedics and their stress responses to critical incidents. She is particularly interested in researching paramedic’s performance, well-being and patient care. Greg Whitley PhD student in CaHRU funded by NIHR CLAHRC East Midlands researching pre-hospital pain management in children. 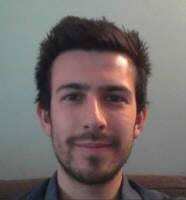 He is also a part-time paramedic with East Midlands Ambulance Service NHS Trust. Sue Bowler Research administrator for CaHRU supports the activities of the research centre. She is currently administering the PINCER project (funded by the Health Foundation), the Healthier Ageing Patient and Public Involvement (HAPPI) group and postgraduate research in the School of Health and Social Care. Greg Whitley (CLAHRC-HEEM fellow): Paediatric pain management in the ambulance service. Fiona Togher (RIF fellow): Development of an ambulance patient reported experience measure. Mohammad Iqbal: Development of a patient reported outcome measure for pain treatment. Despina Laparidou: Informal carers of people with dementia: Exploring the cognitive processes that account for the relationship between stressors and the carers’ anxiety and depression levels. Viet-Hai Phung: Delivering ambulance service care that meets the needs of Eastern European migrants. Nadya Essam: National Early Warning Scores to support paramedics’ decisions. 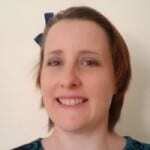 Laura Simmons (RIF fellow): Stress as a cause of sickness absence in the ambulance service. Jolien Vos (RIF fellow): Navigating the care system – awarded 2017. Hannah Henderson: Intended actions, unintended outcomes: towards a processual understanding of exercise referral schemes – awarded 2017. Michael Toze (RIF fellow): Experiences of primary care for older LGBT patients – awarded 2018. Joseph Akanuwe: Cancer risk assessment tools in primary care – awarded 2018.